Our Middle School and Confirmation Students learned that in growing to know and love God, we come to serve Him. They participated in various service projects to help the community including stuffing pillows for cancer patients, making angels for the giving tree and creating place mats to be used during retreats for the incarcerated. The students experienced the spirit of giving to God and others. The crosses displayed between St. Leo's Church and the Faith Formation Center are the St. Vincent de Paul Peace Walk. Our high school and Edge students made them and are inviting us all to join them in prayer for all victims of tragedy, especially the young. They made a commitment to nonviolence as they prayed for those named on the crosses. Please join them in prayer. the faith formation registration portal is available! 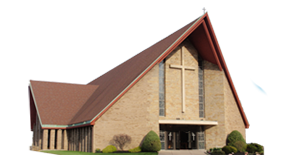 St. Vincent de Paul Parish is a welcoming, caring Catholic family guided by the Holy Spirit. We are nourished by Word, Sacrament and each other. Our members strive to be faithful stewards of the gifts God has entrusted to us. We proclaim the Gospel of Jesus Christ by supporting the lifelong spiritual growth of our parish family and by reaching out to serve the needy in the spirit of our patron saint. We invite you to check back often to view our pages containing the many events, and events being offered for your spiritual enrichment. Every parishioner has been given a gift subscription to FORMED, a wonderful website that has been called a "Catholic Netflix." FORMED has inspiring movies and video based programs, audio presentations and e-books from the Church's most compelling speakers and authors. First time users go to www.formed.org and enter access code AW9F7W to set up your free subscription.